Tuscan Guide Access! See Below! 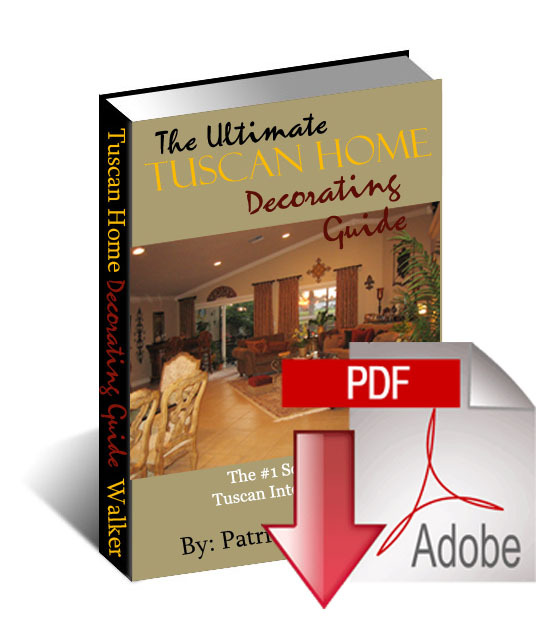 Click here to download or Click the image of The Ultimate Tuscan Home Decorating Guide ebook cover to the left. You may need to right-click (PC) or control click (MAC) the above link and select 'Save Link As' to download the file to your computer. Remember to save the downloaded file in a folder on your computer - in a place where you'll remember! **If you lose the file, or need to re-download the Tuscan Guide at any time, you can do so from this download page.